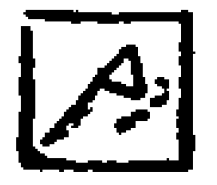 bä means ‘to do’, ‘to perform’ and is written with the symbol representing a hoe which is raised thus: and shows the soil clods being thrown up; this would indicate that the character had been invented after they [the Naxi] had become a sedentary people and had practised agriculture. Aside from the etymological titbit, I thought immediately of Fenollosa and Pound, and their assertion that Chinese is an inherently more poetic language because of its writing system. 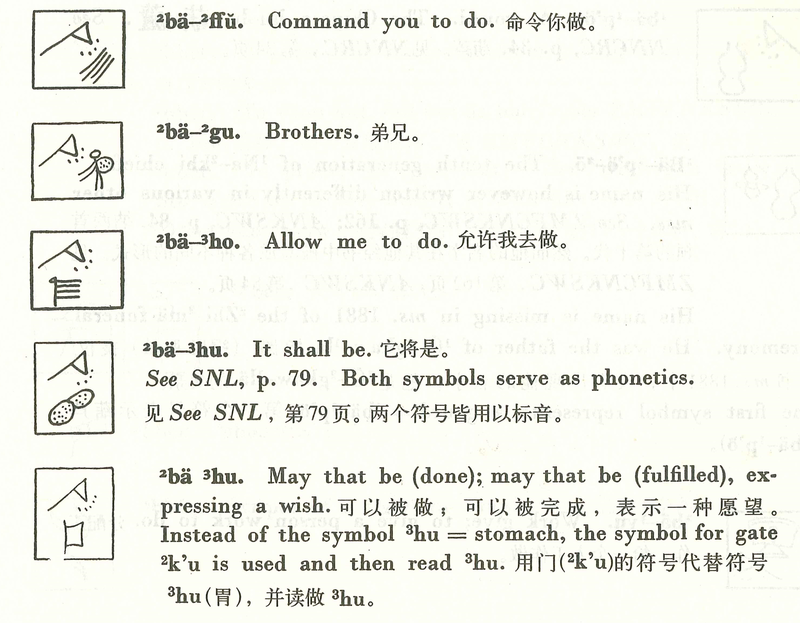 …the great number of these [Chinese] ideographic roots carry in them a verbal idea of action … a large number of the primitive Chinese characters … are shorthand pictures of actions or processes. ‘To do’, of course, is the archetypal action verb. The Naxi ‘be33′ is a very versatile character, and a strong, active verb, meaning to make, to serve as, etc. What could be more denoting of action than the sharp hoe swiftly descending, rending the earth, causing clods of soil to fly up every which way? The character has become an abstraction; no longer is it a hoe tilling the soil, it is now just a tool striking an object. The English translation for this line (from a poem) would be: “The red tigers serve as our steeds”, with ‘be33′ meaning ‘to serve as’. But when we consult the older scriptures (many of which were collected and preserved by Rock) we can see that the character has the form that Rock transcribes (highlighted in red). Both these images are scanned from the Chinese edition of Rock (as you can tell by the Chinese translation) which does at least preserve his original English. So, don’t say I never tell you anything useful! This entry was posted in Uncategorized by Duncan. Bookmark the permalink.